Pennsylvania Combat Sports offers the Ultimate Beginners MMA Training Program for men and women with no previous experience whatsoever. So if your goal is to get in shape, learn effective self-defense skills or make your Mixed Martial Arts fight debut in the cage...this is THE program that'll make it happen. We've been at the MMA game for over a decade, right here in Westmoreland County. Starting out as a small club known as Combative Grappling Systems (TEAM CGS was founded by Casey Leonard), PACS has evolved into one of the best Mixed Martial Arts schools in Pennsylvania. Head Instructor, Casey After An MMA Win. There is absolutely No Better Time than right now, for you to start down the path of Mixed Martial Arts Training. Pennsylvania Combat Sports in Greensburg, is now offering an unbelievable opportunity to those interested in seeing what MMA training is all about. Make the transition from MMA Fan to MMA Student with the No-Risk PA Combat Sports 30 Day Free Trial! Training in our MMA Beginners Program will teach you the fundamentals of Boxing, Kickboxing, Brazilian Jiu-Jitsu & Wrestling...All the core components of becoming a well-rounded MMA fighter or Real-World Martial Artist. Not interested in "stepping into the cage"? Not a problem. Only about 10% of our students actually go on to join the PACS Competition Team. The vast majority of our members are gaining valuable training and achieving their personal fitness goals through Mixed Martial Arts. We won't waste your valuable class time on unnecessary "katas" or forms...you'll experience only the best and most realistic combat sports training and drilling techniques (used by Professional MMA Athletes all over the World)...which have been battle-tested by some of our fighters! Jarred "The Warlord" Laskey in action! With a curriculum based beginners program, you can also be certain that we won't be throwing you into the "deep end of the pool". Swimming with sharks when your learning to tread water, is a recipe for failure. Many MMA gyms out there are no more than Fight Clubs, which use the newer and unexperienced members, as punching bags for veteran fighters. We don't believe in that here at Pennsylvania Combat Sports. Our method of teaching is based on the simple yet proven Crawl-Walk-Run strategy for building skill and confidence in yourself and in your training. We also offer a 30 Day Free Trial. This is exactly what it sounds like, you get to try 30 days worth of classes in our "MMA 101 Program" for FREE. Keep in mind that uniforms and or required training gear, is not provided. This is the best way to test drive our MMA oriented training, before deciding if its something you want to pursue further. I THINK YOUR READY TO START TRAINING! How would I know that about you? Well, the fact that your on this page right now reading these words, tells me you have more than just a casual interest in learning Mixed Martial Arts (MMA). But what may be happening is that your thinking of all the reasons why you may not be able to do this kind of training...tell me if these sound familiar. That is all nonsense which comes from fear or what other people have told you for years about yourself. Both of these things are what may be stopping you from experiencing a truly life-changing and positive thing...Its about time you took some action. Its time to EXPERIENCE FOR YOURSELF, what MMA Training at Pennsylvania Combat Sports is all about. First, let me tell you...This is NO Fight Club! If you want some tough-guy basement style training then please just stop reading now and look elsewhere. Trust me, you won't have to look very far. What we offer is a Professional MMA Training Center with a dedicated system, that brings folks with ZERO Experience into the ranks of Pro Level MMA Fighting. We have taken people with ZERO prior wrestling, boxing, Jiu-Jitsu or Kickboxing experience...and helped them become MMA Champions! In fact our first student (back in 2001) was non other than the Ultimate Fighter: Season 6 Winner, Mac Danzig...and he's not our only success story! All things considered, talk is still talk....and we believe in hard proof (you should too). So what we offer is the PA Combat Sports Exclusive 30 Day Free Training Offer. With this you will have access to 30 Days of Free MMA Training in our Beginners MMA 101 Program. 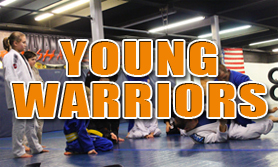 You will learn Striking, Grappling, Submissions, Escapes, Combinations...basically a whole lot of what you need to be Really GOOD at Mixed Martial Arts. ALL FREE! Why would we do all this? Basically its to prove to you that we are for real about our dedication and desire to see you succeed...and we know that after 30 Days with us helping in your goals, you will stick around and continue towards even bigger and better things. Feel free to give us a call today and set-up a No-Strings Attached Training Consultation. This will allow us to find out what your goals are,and outline a plan to help you get there in the fastest time possible. Whether it's to fight professionally or just get into great shape while learning the most effective martial arts techniques ever created, its all possible here at Pennsylvania Combat Sports. Call (724) 420-5199 and give us a day and time that works for you to stop in. We look forward to talking and hopefully, training with you soon! PS...All new students also receive the Pennsylvania Combat Sports 60 Day Iron-Clad Money Back Guarantee...you dont get what you want outta your training after 60 days then we'll refund ALL of YOUR Money- No Strings attached, No hard feelings! 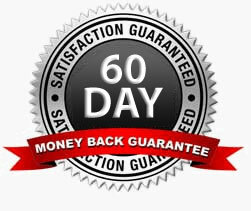 We're the only training center in the Greater Pittsburgh area, with the confidence to offer something like a 60 Day Money back Guarantee, because we know we have the best program going!